Take the tour that foreshadowed the nationwide Civil Rights Movement. A version of the free people of color tour with an emphasis on Plessy, plaintiff in the historic Plessy v. Ferguson case. 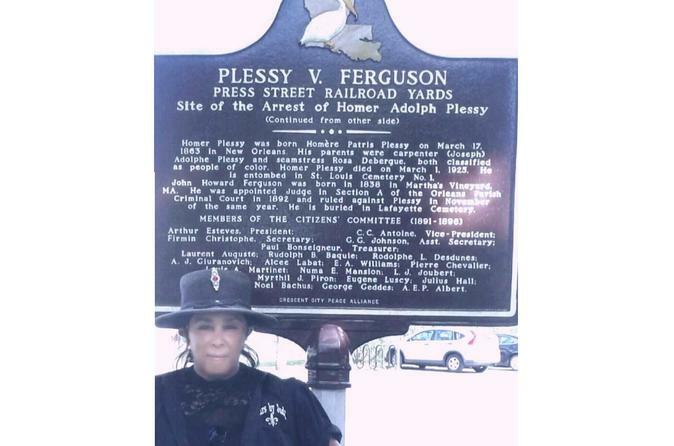 Plessy belonged to a group of men, the Comite` des Citoyens (Citizens' Committee), who put forth a test case of civil disobedience to overturn segregation laws that had been enacted post Reconstruction across the South. This tour is given by Judy, great great granddaughter of George Geddes, one of the Comite` des Citoyens.